The year 2012 is the year of change for the search engine giant Google and C0.The Mountain View Company has changed the their user interface and introduced the +1 share button in search results and made several changes. They use this informations to put Advertisement in our Accounts. 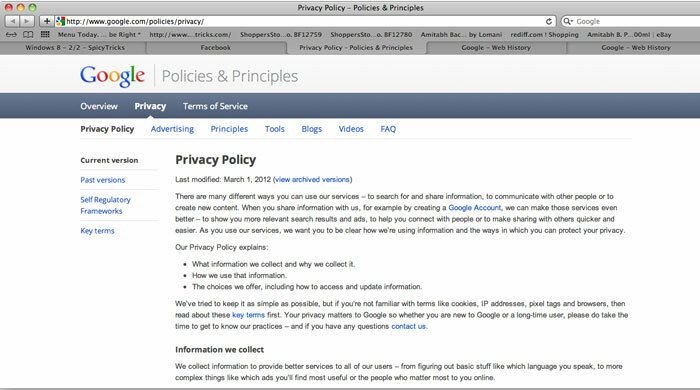 So if you don’t want to let Google keeps your history[For your Privacy], All you need to do the following steps. 2. Click the Pause button to stop your data from being collected by google. 3. 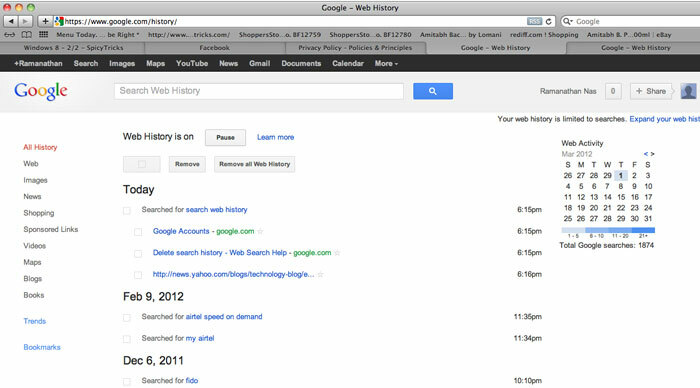 Click the “Remove All Web History” to delete all your previous data collected by google Web Search.